Interested in Smart Home Upgrades or New Installations? Now you don't have to decide between emptying you bank account to hire a custom integrator or rolling up your sleeves trying to do-it-yourself (DIY). DoItForMe.Solutions provides the best of both worlds! Choose your favorite name brand home automation products, contact us and ask to do-it-for-me (DIFM). We'll provide you with as much help as you like. We don't mark-up equipment or push unknown products to make money; we charge only for our time and expertise. Purchase all the products yourself or let us do the shopping on your behalf. Confused by all the product choices and options? We'll help you sort out the differences and choose what is best for the project and your budget - not what puts the most commission in our pockets. Do-It-For-Me is the perfect complement for your DIY smart home efforts. For assistance with your Smart Home project contact us to get started today! Speed problems and dead spots on your Wi-Fi network are a thing of the past with our thorough analysis & equipment upgrades. Flip the switch from the convenience of your armchair; command lights to go on and off on your own crazy schedule automatically; you'll never be left in the dark again. Use the power of your voice to make controlling your smart home easy peasy. Raise or lower the temperature without breaking a sweat! Prevent costly mold damage, lower your energy bills, and keep it cozy all year long. Party of 1, intimate dinner, or family celebrations will never sound the same. Fill any room or your entire home with the sounds of perfectly synchronized music. Keep track of the comings and goings even when you are hundreds of miles away. A picture (or video) is worth a thousand words. Make watching TV child's play. Cut through the confusion of HDMI ports, stereo receiver settings, and complicated set-top boxes. Control everything from the palm of your hand. Friend or foe? Pro-active network monitoring and alerts let you know if anyone is fiddling with your network that shouldn't. Point the finger back at your Internet provider and demand a refund when they drop the ball. Our support services provide as little or as much help as you want - before, during, and after any critical incident. This will not fix your Wi-Fi problems! The heart of every Smart Home is the wired and wireless local area network. First generation Wi-Fi systems are notoriously slow, have limited range, and result in dead spots within your home where you have little or no Wi-Fi signal. Having a strong, reliable Wi-Fi network is not a luxury - it is a key requirement for any home automation project. Everything from watching your favorite TV shows, streaming the latest YouTube cat video, or binge watching the latest new series on Netflix, Amazon Prime, Apple TV, or Hulu demands a world-class Wi-Fi system in your home. First we use state of the art augmented reality (AR) software to create a complete computerized floor plan of your home. Then using professional Wi-Fi signal analysis tools on our portable laptop, we measure the actual signal strength and coverage of your Wi-Fi system from multiple locations in every room. With instantly generated visual diagrams including signal-to-noise ratio and signal coverage heat-maps, we can see the actual coverage and speed limitations of your current Wi-Fi system. Numbers don't lie! Based on these results, we'll recommend the right combination of equipment upgrades and adjustments to insure a fast, reliable Wi-Fi network throughout your house. Mesh Wi-Fi, multiple access points, high performance routers - we'll recommend only what's needed and only based on actual measurements and analysis. Click here for popular products we have installed for our clients. Mankind's greatest invention was the discovery of fire. The first multi-tasking solution that provided heat for warmth & cooking and light for working. Our earlier ancestors may have started controlling fire over a million years ago, but most of us are still struggling to tame the common family room lamp. Let us retro-fit your home with smart lighting. Now you can not just flip the light switch, but become it's master. We're now light years ahead of just turning a light on or off by taking your smartphone out of your pocket. Totally automate your lights to do your bidding. Use your voice to turn them on or set the exact dimming level you want. Control one or one hundred lights with a single command - how's that for lighting up your life! Go beyond lighting control to full automation. Your lights can do your bidding totally on their own without lifting a finger. Lights on a half-hour before sunset; Lights off when you leave the house - like magic. Set the mood in your family room or home theater exactly to your liking with a single voice command or click on a handheld wireless switch. We'll work with you to determine the best combination of controls for your personal life style: In-wall designer dimmers, handheld wireless switches, hands-free voice activation, or fully automatic schedules and actions -- you can have it all! 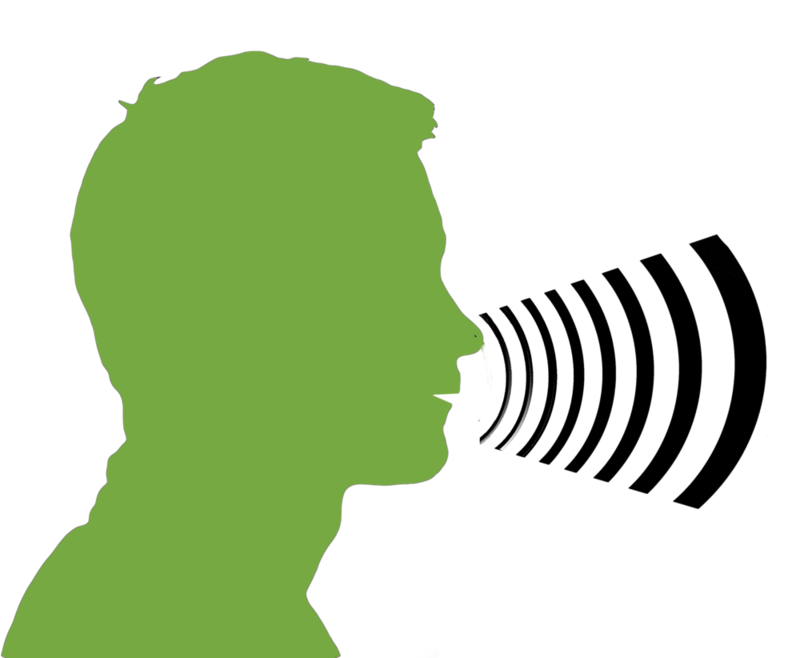 Rapid advances in voice recognition technology have brought this science fiction fantasy into our every day lives. For your smart home, the three major choices are Apple's Siri/HomeKit, Amazon's Alexa, and Google Home Assistant. Many affordable devices including lights & dimmers; thermostats; TV & entertainment; security cameras & doorbells and many more common or even uncommon devices have added the capability to be controlled by your voice. I don't want to mislead you - it's not all plug and play. Some products only work with some systems, and some don't work with anything yet or haven't delivered on their promises. Sometimes knowing what works together is more complicated and much more serious than playing a game of "Six Degrees of Kevin Bacon". Interested in voice control and automation? Let DoItForMe.Solutions be your guide. We've connected lots of systems together and are ready to help do it for you too! Get Comfy - A/C Control Is Now A Breeze! Control your Heating, Ventilation, and Air Conditioning (HVAC) System without being a rocket scientist. We've all had programmable thermostats for years, but they are just to confusing to use. Tiny little buttons and confusing sequences of commands which make setting every a simple schedule seem like you are launching a space probe. With a Smart Home thermostat you can control it as much or as little as you want. Even the basics of setting the temperature and turning it on or off is much simpler from the easy dial and buttons on the device. When you do reach for your smartphone, tablet, or computer, the screen information is easy to read and setting even complicated schedules and options is much more straightforward. There has never been a better time to up your game to enjoy incredible music everywhere in your home. With a wide choice of systems using wired or wireless connections and prices to match any budget, your dream system is within your reach. Put music in one room or every room! Control it all from the convenience of your smartphone, a handheld wireless remote, or the power of your voice. Bring your favorite music along - keep using the streaming services you enjoy, play your digital music collection, or wire up an actual turnable for that retro vinyl appeal. Choose from wireless speakers (table-top, free standing, wall mounted, or on stands); in-wall or in-ceiling flush mounted speakers; or convenient plug-and-listen sound bars and subwoofers. You don't need a dedicated home theatre room (but they are cool too!) - listen to music in the kitchen, the family room, outdoor living areas, or the garage (here in California many of us have workshops or work areas there).